"His price is inflated simply because of the presence of Tiger Woods, and Luiten has been in decent form ever since June." 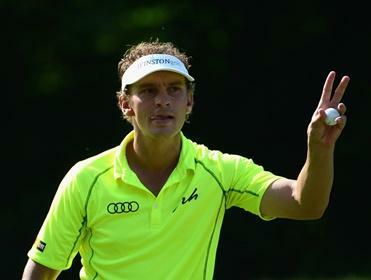 I'm backing Joost Luiten again for three reasons. One, he owes me. Two, he looks a very generous price. And three, beware of the injured golfer! True, a few of those reasons are a bit feeble, especially the 'he owes me' remark as I've backed him both times that he has won this season. But last time out when he hit one shot and then withdrew left a sour taste, especially for those who backed him on the Exchange and didn't get their money back. His price is inflated simply because of the presence of Tiger Woods, and Luiten has been in decent form ever since June. He was brilliant at the Seve Trophy last month, and although he's had an injury set-back since, I believe he can contend here if he hits more than one shot! This will be the first time the field will have seen the Maxx Royal, so players and punters alike are, to a large extent, in the dark this week but one angle in could be the course's slightly unusual layout. A traditional par 72 set up has four par 3s and four par 5s but this one has five of each so I thought I'd take a look at the Par 3 and Par 5 Performance stats. The only player to figure in the top-12 in both lists is Austria's Bernd Wiesberger and given he's a best priced [41.0] on the Sportsbook and that he's in fair form, I thought he represented a bit of each way value. There's a very strong field in Turkey this week but I'm shunning the top names in favour of a mid-ranking footsoldier of the European Tour, who might just go on to great things in the game. Shane Lowry has already shown his class by winning twice on tour and has amassed a clutch of top 10 finishes this season including a third at the Alfred Dunhill just three starts ago. Lowry put in an awful start at the BMW Masters last time out but improved throughout every round, closing with a final day 67 to eventually finish 24th. The Irishman is long off the tee, accurate with his irons and very decent with the putter and his all-round game should serve him well on a course with five par-5s and a handful of short par 4s. Gregory Bourdy may be a less fashionable name than the market leaders, but as a four-time winner, usually at decent odds, he's the type to deliver for regular followers over the long-term. Right now, the Frenchman is in excellent form. Since winning the Wales Open in September, Bourdy has played a starring role at the Seve Trophy and contended for a long way a fortnight ago at the BMW Masters. Even last week's 21st should be seen as a respectable effort on a layout where he was never going to be able to keep up with big-hitters like Dustin Johnson. One might assume that any course designed by Colin Montgomerie would particularly reward long-game accuracy and if that indeed turns out to be the case at his Maxx Royal layout, Bourdy should be in his element. A couple of unspectacular yet solid performances have only served to inflate Lee Westwood's price to a juicy each way proposition this week in Turkey. The Englishman hasn't played much competitive golf since being knocked out of the FedEx cup at the BMW Championship in September but firmly believes he can finish the European Tour season in style. Westwood won two of the final four Race to Dubai events in 2009 to pip Rory McIlroy to the inaugural title, don't be surprised to see the Englishman hit form at the business end of the season once more.